Eguana Technologies (TSX.V: EGT) (OTCQB: EGTYF) is pleased to announce it has been approved for both the South Australia Home Battery Scheme and CEFC home battery financing providing direct access to $100 million in subsidies and low interest loans for residential battery storage. As part of the program, Eguana will produce its Evolve home battery systems in the state. Minister for Trade, Tourism and Investment David Ridgway said it’s another major coup for South Australia’s renewables sector. “I’m pleased to welcome Eguana as the latest international company to invest in South Australia,” Mr. Ridgway said. 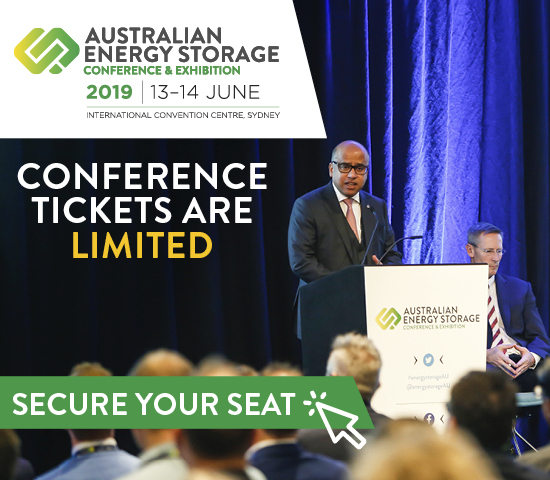 Chief Executive Officer at Eguana Technologies Justin Holland stated South Australia was a key market for the Company and the Home Battery Scheme will open up the largest demand market in the world. The Evolve product, which was tested and recently endorsed by Mercedes Benz Energy, has been designed with full grid services capabilities. “The Virtual Power Plant requirement for the Home Battery program is the first of its kind and the Evolve product was designed and developed to deliver a full suite of grid services supporting sophisticated programs like these that go well beyond basic backup power and self-consumption capabilities,” Mr. Holland said. “We have already begun working with South Australian government services to establish supply partners and manufacturing capabilities in South Australia and look forward to supporting the South Australian economy and energy storage customers. Minister for Energy and Mining Dan van Holst Pellekaan noted that Eguana has two decades of experience delivering grid edge power electronics for fuel cell, photovoltaic and battery applications, and delivers proven, durable, high quality solutions from its high capacity manufacturing facilities in Europe and North America. “Through our Home Battery Storage Scheme, 40,000 South Australian households will have access to $100 million in State Government subsidies to pay for the installation of home battery systems,” Mr. van Holst Pellekaan said. The reader is advised that some of the information herein may constitute forward-looking statements within the meaning assigned by National Instruments 51-102 and other relevant securities legislation. In particular, we include: statements pertaining to the value of our power controls to the energy storage market and statements concerning the use of proceeds and the Company’s ability to obtain necessary approvals from the TSX Venture Exchange. Forward-looking information is not a guarantee of future performance and involves a number of risks and uncertainties. Many factors could cause the Company’s actual results, performance or achievements, or future events or developments, to differ materially from those expressed or implied by the forward-looking information. Readers are cautioned not to place undue reliance on forward-looking information, which speaks only as of the date hereof. Readers are also directed to the Risk Factors section of the Company’s most recent audited Financial Statements which may be found on its website or at sedar.com. The Company does not undertake any obligation to release publicly any revisions to forward-looking information contained herein to reflect events or circumstances that occur after the date hereof or to reflect the occurrence of unanticipated events, except as may be required under applicable securities laws.